Medicare provides for basic health care needs but does not cover all your medical expenses and services. Other Medicare Plans are offered by private companies that contract with Medicare to provide Part A and Part B benefits to people with Medicare and who enroll in the plan. Medicare health plans include all Medicare Advantage Plans, Medicare Cost Plans, Demonstration/Pilot Programs, and Programs of All-inclusive Care for the Elderly (PACE). What are the benefits of Medicare Supplement Insurance? Medicare Supplement Insurance (also known as Medigap) fills in Medicare coverage gaps and protects you from unexpected health expenses. Medigap is insurance offered by private companies and designed to supplement original Medicare. Some Medigap plans also cover medical care when traveling outside the United States. What are the different Medicare Supplement Plans Available? Medigap Plans are government standardized and named using a letter. Each Medigap Plan provides different benefits. The chart below lists each Medigap Plan and the benefits it provides. Plan F is the most comprehensive Plan and the most popular. “Yes” in a box means the Plan covers 100% of the benefit type. A percentage (%) amount in the box means the Plan covers that percentage amount of the benefit type. 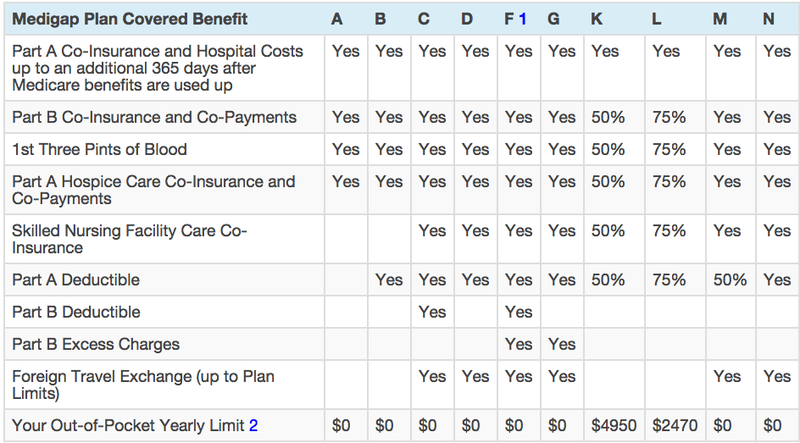 If the box is blank then the benefit is not a covered service provided by the Plan. Plan F also offers a high-deductible plan. Under this option, you must pay for Medicare-covered costs up to the deductible amount of $2,300 in 2019 before your Medigap plan pays anything. After you meet your out-of-pocket yearly limit and your yearly Part B deductible, Medigap plan pays 100% of covered services for the rest of the calendar year. Plan N pays 100% of the Part B co-insurance, except for a co-payment of up to $20 for some office visits and up to a $50 co-payment for emergency room visits that don’t result in inpatient admission. Can I go to any hospital or doctor? Freedom to choose their own doctor is an important consideration for many. You can rest assured that as a Medicare supplement member, you can go to any doctor or hospital and it will be covered as long as the doctor accepts Medicare. 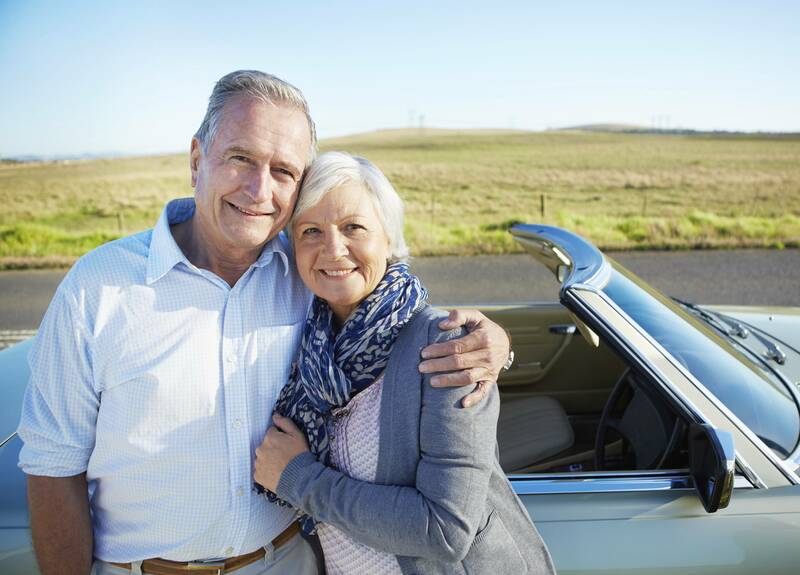 Plus, with Medicare Supplement Insurance, coverage is recognized across the nation and not restricted to a specific geography, providing broad flexibility. Which Medicare supplement company offers the best coverage? Since all Medicare Supplement insurance policies have been standardized by the federal government, the most important considerations are company rating (A-rating is best), plan cost and service. Make sure to ask about costs at current age as well as older ages. Does it cost anything to purchase my Medicare Supplement plan through the Wasky Group? The short answer is “NO”. Consumers pay the same for their insurance regardless of how they conduct their purchase. Agents are paid directly by the insurance carriers. An important consideration for consumers is to find an independent agent licensed to offer multiple plans and companies. Make sure they freely share rates for each plan represented.